Are you looking for something to wear on Valentines Day but don’t want anything cheesy and covered with hearts! Boy do I have the perfect craft for you to do. 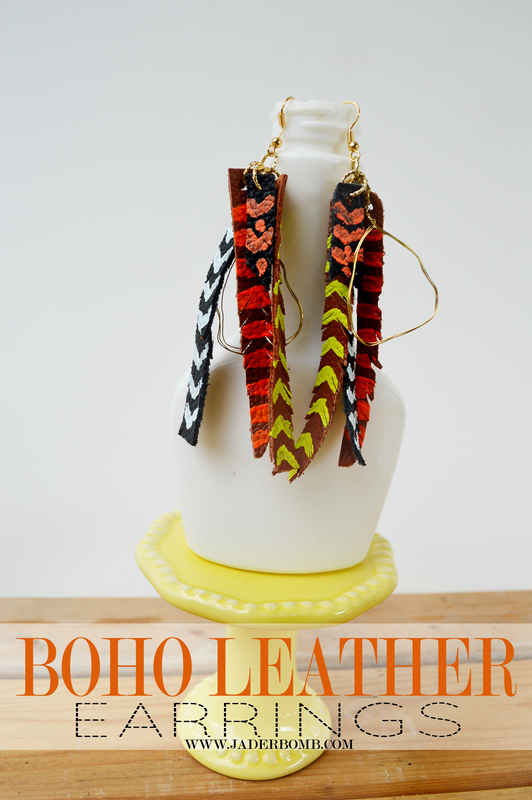 I don’t know about you but I love anything with LEATHER and I sell a lot of leather goods, especially my leather boho earrings! If you are interested in buying some please inbox me jade@jaderbomb.com. They are only $25 dollars and I promise you, everyone will want them off of your ears!!! 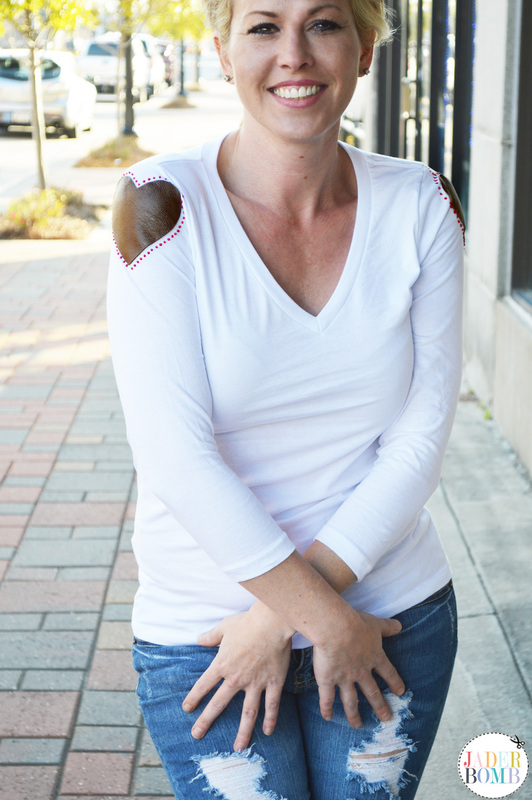 The best part is you get to pick and choose your own colors to reflect your very own personality! Make sure to check out these rose earrings I made, I think these look so cute on little girls! Plus they are the BEST kids craft! 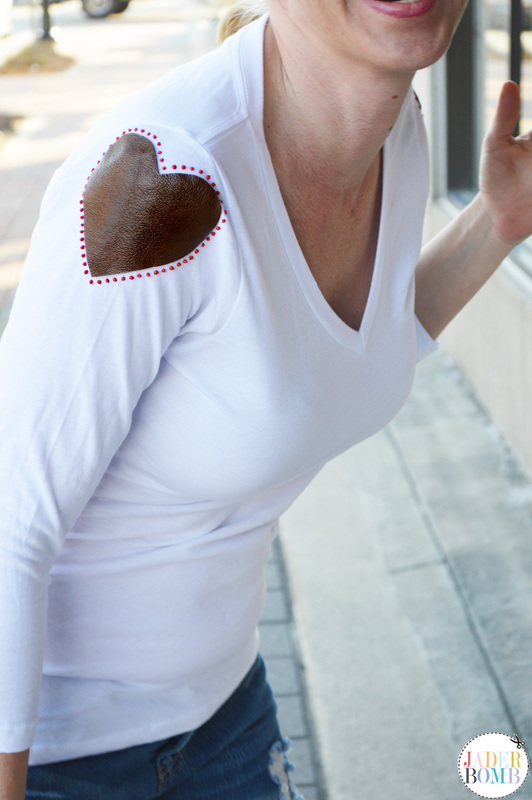 Today I wanted to share with you this fun and easy leather heart shirt that I made for the I Love to Create Blog! 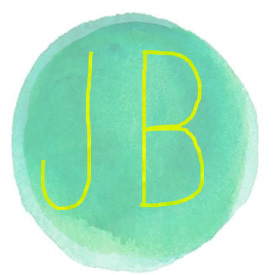 Make sure to click on the link at the bottom of this post to see the FULL tutorial!